In Greek mythology, Atlas was the god condemned to hold up the heavens for eternity. In modern culture, we think of an atlas as collection of maps, usually bound, that can be a window to the world packed with colorful maps and guides. In Special Collections and Archives, we have many interesting atlases, including the Rand, McNally & Co.'s Universal Atlas of the World. Similar to an encyclopedia, the edition is packed with information describing the many cultures of the world, biographical sketches of the signers of the declaration of independence, and other useful information. This year as we celebrate the campus's 60th anniversary, we can see that the campus has changed greatly over the years. 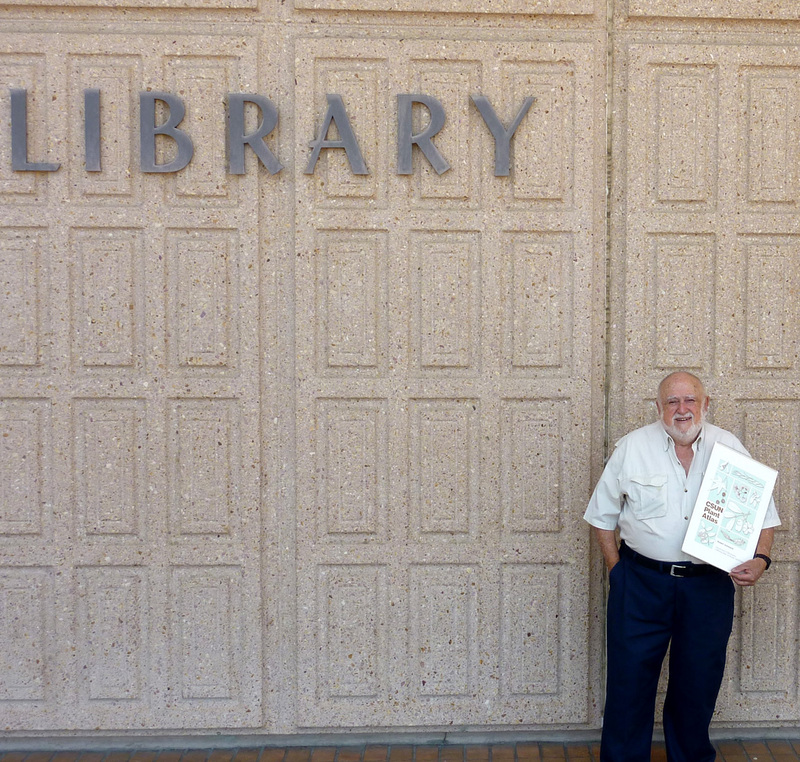 For the 30th anniversary of CSUN, emeritus geography Professor Dr. Robert Gohstand wrote the CSUN Plant Atlas. Yet, by looking at this atlas, we can see that the flora and fauna have largely remained the same. Many of the plants documented in this book remain intact and are still thriving. For an inquisitive mind, the atlas gives a botanical guide to the makeup of the campus grounds. In the back of the volume, the plant name index is fascinating. From studying the atlas, we know that in 1989 the Canary Island Pine was the most common tree on campus, the Japanese pittosporum, Tobira, was the most common shrub, and English Ivy was the most common ground cover. 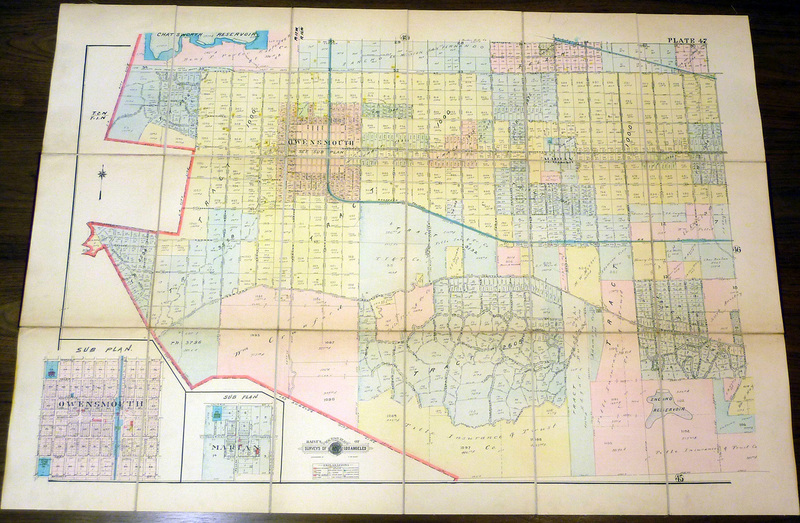 Baist’s Real Estate Atlas of Surveys of Los Angeles, California contains maps used for real estate title searches and includes detailed building footprints, subdivision, infrastructure and street data. Each atlas was beautifully designed and colored, and produced for dozens of U.S. cities, but in small quantities. Most were heavily used, annotated, and worn out. Although few survive in pristine condition, this edition has been painstakingly restored with a quarter leather binding. 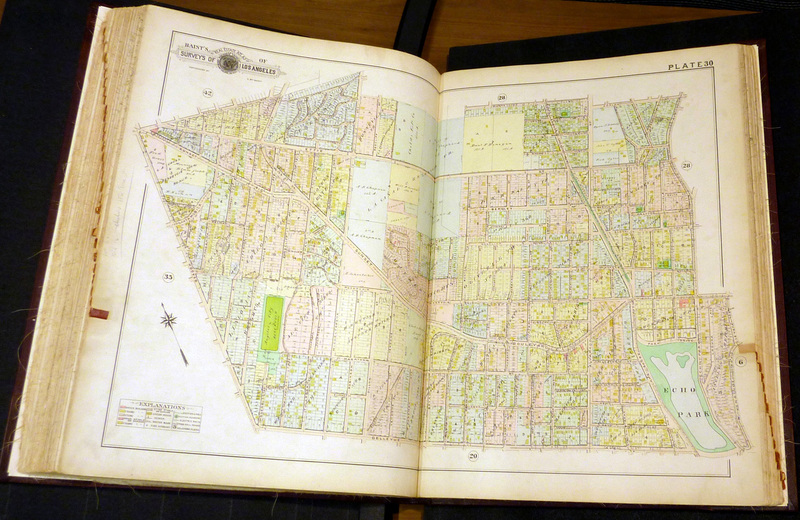 We also have the Baist's Real Estate Atlas of Surveys of Los Angeles. Plate 47. This is an interesting map of the modern day Canoga Park and Reseda areas, formerly known as the Owensmouth and Marian communities. 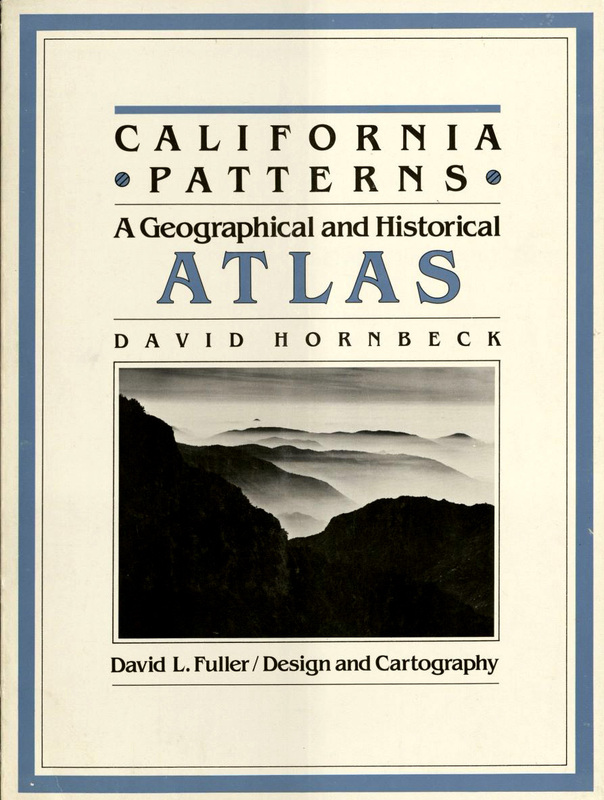 Designed with the student in mind, California Patterns: A Geographical and Historical Atlas is packed with helpful information about the Golden State. For geography students, there are even two blank California maps in the back that could be a big time saver for researchers. The author divided the book into four parts: Physical, Aboriginal, Hispanic, and American Patterns. 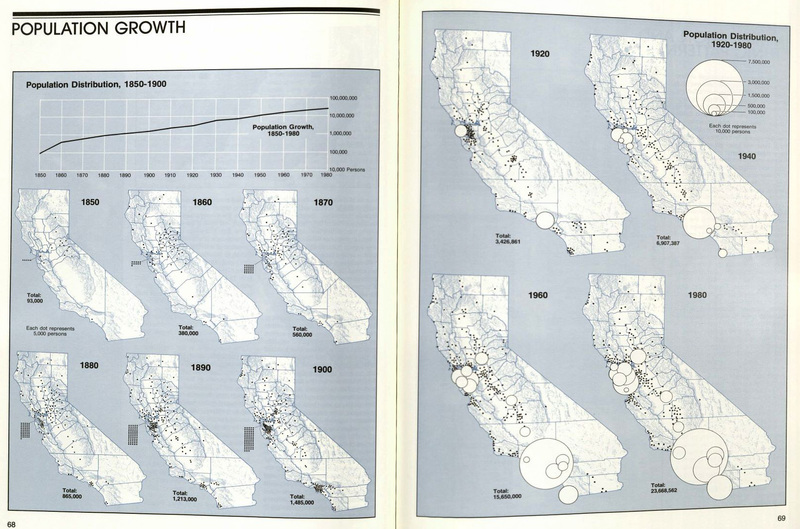 The author interpreted historical, statistical, geographical, economic, agricultural, and climatological data into golden state graphical maps. Each section has an extensive bibliography for further research. While serving in the U.S. Army in the late 1940s, Dr. David Donaldson first built a stereoscopic camera combining two 35 mm cameras. In 1966, the first volume of his five volume set Atlas of External Diseases of the Eye was published. In Special Collections and Archives, we have volumes 1-4. This set of atlases is notable because the author chose to include 3½ inch diameter View-Master reels and a viewer with each volume. View-Master reels were developed in 1939 and initially featured travel photographs using Kodak Kodachrome color film. As children’s toys, View-Master reels are still sold today under the Fisher-Price division of Mattel. 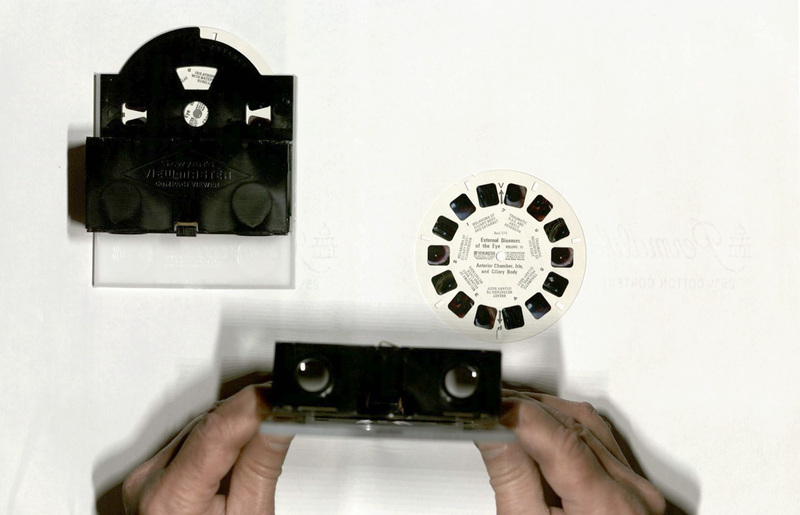 Although the set of Donaldson Atlases have some black and white photographs, all the color photographs are only available on the View-Master reels.